I tried to keep this week about blogging confessions, but kept straying towards bookish-related blogging confessions, which I suppose makes more sense. I’ve always wanted to do a “Confessions” series of posts (fits nicely with my blog theme, right?) but I haven’t managed to get round to it yet, it takes some planning – I will do it though! 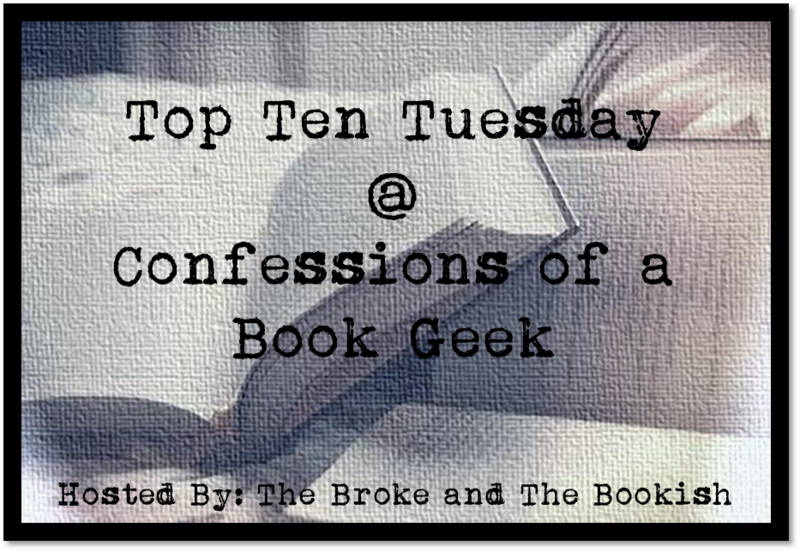 So, without further ado, I bring you my Top Ten Bookish Blogging Confessions… be prepared for all the gifs. 1. I went a little ARC crazy when I was first approved on NetGalley: When I started blogging I used NetGalley to find my next reads, and for a while that worked really well. Then, because of blogging, I discovered all these amazing books that are already published and out there that I had missed out on, so I started playing catch-up. That was still working OK until exam season hit, so now I have a little bit of a backlog to get through. I decided to start with a clean slate, so anything I book-in or request now is already scheduled, and when my exams are over I’ll start allocating more time to the ones I missed. 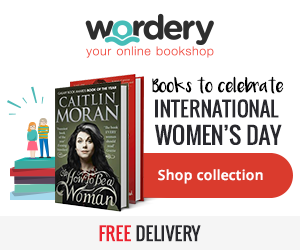 Approval on NetGalley = ALL the books! 2. I buy books at a quicker rate than I can read: I think a lot of book-lovers are guilty of this. I bought a “normal” amount of books when I was younger, you know – I’d buy them at the rate I could read them – but even then I heard a chorus of: “Why do you need to own them? Why can’t you borrow them from the library?”, “You’ll never read them again you know.“, “They take up so much space, where are you going to put them all?” But you guys, you guys are enablers! Since I’ve started blogging I genuinely care less about what other people think of me and my book-buying. Sometimes I try to put myself on a book-buying ban, which might work for 3-4 weeks before I give in. It’s all about the books, I spot a deal/bargain/sale and I’m on it. 3. I’m an extroverted introvert: People who know me would probably seriously question this and declare me an extrovert through and through, but that just isn’t the case. I’m very much a Dolly Mixture of both. Extrovert personality traits include being sociable, practical, good conversationalists, outgoing, confident, and being able to show affection. Introverted personality traits include individuals who prefer to be in the company of very few people, they are prone to thinking, analyzing psyche, brooding about the future, being idealistic and less social. I’d say I’m smack in the middle, though only people close to me tend to see my introverted side. You might wonder what this has to do with blogging (and reading) – I have to try and keep a balance. If I stay my extroverted self for too long I can start to feel drained and dissatisfied, so I go back into my introverted shell for a while and recover (sit in, read books, blog, close the world out). Equally, if I stay in my introverted bubble for too long it can become a bit dull and depressing and I need to burst out again. 4. I can get really frustrated with complicated over-analysis of a book: I think this is part of the reason I’ve avoided the Classics for so long. Typically, the Classics tend to have more “book snob” readers than most genres and they love to deeply critique everything. I’ve done that, I’ve studied English Literature, and that’s fine, but it’s not the only way to read. When I’m not studying a text I read as a hobby, I read to escape, to unplug, unwind etc. I don’t want to over-think dramatic irony or symbolism. I tried to find a post I read a few weeks ago, the blog contacted multiple authors and asked them to provide a response to an analysis of their book, the best example was the analysis of blue curtains, and how they reflected the harsh and cold relationships in the story, while serving as a reminder of clear blue skies and more optimistic times. When the author read this they replied, “No, it means the curtains were f@&king blue”. 5. I love reading books about things that don’t happen in real life: I suppose this fits in well with the fact I love the escapism that comes with reading. My sister prefers a good dose of reality in her books and sometimes I do too, I really like NA, YA, contemporaries and “issues” books, but I also spend a lot of time reading about plenty of things that just don’t happen in real life. I love dystopians and paranormal reads (though I’m still petrified of high fantasy), I love books and series where there is amazing world-building (Harry Potter, The Mortal Instruments, The Hunger Games), and just sometimes I wish some elements of these books were true. 6. I can’t really read more than one book at a time: I’ve tried. I know some people who do this and they think it helps them read more efficiently. I start out with maybe two or three books, and I try to make sure they’re very different so I don’t get any plot points confused. But usually, one of them ends up being amazing and I get drawn in to reading it until it’s finished, or one gets heavy and complicated and I put it down until I’ve finished the others so I can give it my undivided attention. The only time this works for me is if I’m reading for fun and reading a textbook or studying at the same time. In that case I use reading to procrastinate 😀 I’d like to be a multi-reader but for now I’m book-monogamous. 7. I’d really, really like more time to reread: Before blogging I used to reread my favourites more often. Now, because there are so many new and brilliant books being released that I’m actually aware of, I’m finding my rereading is taking a hit. I’ve recently reread the entire Mortal Instruments series and I’m currently on book 6. According to Goodreads the reread took me just over a month (I also read two other books in that time, and *tried* to study). I argue with myself over reading new books (because I already own so many and my TBR is HUGE) and rereading favourites. It’s a never-ending mess of confusion. 8. I’d LOVE to find the time to write more original content/discussions or even participate in more discussion memes: This blogging caper is a lot harder than it looks. I feel like I’m starting to get into my groove with it a little more and I have a ton of ideas for posts I’d like to write. Sometimes it’s easier to participate in a meme or discussion tag than generating the whole post as a standalone, and I tend to wait for that to happen (like with this confessions post), but there are stand-alones I want to write, it’s just hard to find the time. If I spend too much time blogging, I get no reading done. Or I end up in that introverted bubble I talked about earlier and have to go out and be sociable for a while instead. I’ve started scheduling over this exam period, and it seems to be working well, so I’m going to try and keep that up to see if it affords me the extra time to write thoughtful posts. Quality over quantity and all that jazz. 9. Sometimes I question why I read and wonder what else I “should” be doing: Again, this probably goes back to my introvert/extrovert internal battle. Sometimes, I’m in love with books and reading, and imaginations and characters, and authors and covers and all that good stuff. And sometimes, I question the amount of time I spend reading/blogging/reviewing etc. when I could be doing something that others might consider “more productive” with my time. I’m not exactly going to start mountaineering or ice skating as a hobby, but I could be doing more of those “social” things that I sometimes crave, or I could spend more time on my career or freelancing, or even just cleaning and decorating – something that would be useful and productive in my real life. Anything really, except sitting still reading about a world that doesn’t exist and people I’ll never meet for 3 hours straight… But then I love it, so why question it?! 10. I’m going to end this post in true Book Geek fashion. “The pen is mightier than the sword”. I think words can be very powerful, they can be life-changing. There are so, so many more bookish and blogging related confessions I could share – I may need to make this a regular feature. Are there any of my confessions you can relate to? Or do you have some I haven’t mentioned at all? Link me up to your TTT post! I definitely need to attend a book convention! Again, stupid UK. Malorie Blackman has just set up the first book conference the UK really has, with YALC, but it was too short notice and too expensive to get to London for this weekend 😦 le sigh. Ahhh – sorry guys! I thought I had this scheduled and was updating it before going live, but it was scheduled and was posted already while I was updating it!! Oops! It’s finished now though! Thanks for commenting though! The HP studio visit was on my Top Ten Bookish Bucket List I think, I was copying the post layout for this blog!! Hahaha there’s a bookish confession for today!! But yes, while we’re on the topic I agree, considering HP is a massive British institution it only makes sense that there should be an impressive celebration of it here. I’d heard of YALC but I’m in an even worse scenario – I’m based in NI (I say the UK most times because who could be bothered making the definition?!) but there’s even less signings and conventions over here! Over analysis= YES. hahaha That is what got me into a reading slump of 5 years in secondary school. Not every breath a character takes needs to be analysed, some things just *are*. It takes all the fun out of reading and breaks up the story ridiculously. It interrupts the flow of the novel. Awww I’ll likely NEVER see those authors in the flesh!! Sometimes there’ll be a signing in Dublin, but rarely up here in the North. I guess if it was someone I really wanted to see I’d travel down but I don’t think it’s publicized well enough here. You need to HUNT out the info, if there even is much available. Industry needs to get it sorted! The books/space issue was one my mum drilled into me when I was younger, so I used to get rid of older books before buying new ones. When I hit my “reading isn’t cool” phase (yes, I know, I’m ashamed – though it wasn’t so much I thought it wasn’t cool anymore just that I had other priorities), I got rid of all my “kiddie” books, my Jacqueline Wilson and Roald Dahl collections because I thought I’d never reading them again and needed to read older books – so I gobbled up Chick Lit for three years instead. I regret this so much. In fact, I’ve considered trying to replace some of my favourites (and I might even read them again) because I loved them so much and would like to have them in my collection. I hit my slump around then too, I studied Eng Lit for A Level and didn’t do a lot of reading besides what was assigned – the over-analysis killed me. It got to the point where as long as you could justify what you were saying, you could literally turn anything in a novel into something else. If a character is wearing a red dress it could symbolize love, or death, or violence, even if they aren’t major themes in the novel, as long as you could provide a reference or evidence to justify your critique. I get that authors can sometimes have subliminal messages in a text that aren’t even intentional due to the nature of human psychology – but why can’t we just pick up on it subliminally too? Why do we have to dissect something down to its very punctuation?! Just leave it be! Definitely agree there. The only reason I know about Rowell/Maas and Bardugo coming to liverpool was because of following the waterstones twitter. The author/book events definitely need more publicity! You could always do a day trip to liverpool ;3 fly out from belfast first thing and get the last flight back, I’ve done that before to visit a friend there haha! Basically. I finished A level english and didn’t read until two years later when I started University. Number 3 is really interesting. I think I’m the same. I’m very sociable and have a lot of friends, but I really enjoy my own company too. I get frustrated when I have too many things planned and can’t dedicate a day to myself where I don’t have to speak to anyone! Hey, don’t worry!! I do things like this too! And I still would like a UK based convention- I think it worked well as a confession too!! #4 really speaks to me. As you know, I LOVE classics, but I don’t love over analysis. I read classics because I enjoy them, and I think over analyzing can just strip all the enjoyment out of a book. I DO think it can be helpful to have some historical / cultural context when reading classics, and I love a book that is deep enough to re-read and gain something new, but mostly I just want to enjoy what I’m reading! Try Melissa @ http://avidreader25.blogspot.com She reads and reviews lots of classics but she isn’t pretentious about it. I think #5 is part of the reason I love classics – a lot of them are based in reality, but it’s not MY reality, so I get that same fantasy world feeling. Does that make sense? Good point about mysteries! I adore mysteries, but I certainly wouldn’t want them to be my reality! Eek! I do find it grating when a mystery that seemed to be realistic suddenly throws in something paranormal (I’m not opposed to paranormal, I just don’t like having to switch gears 3/4 of the way through a book). And I have so many books on my tbr list,that I wonder if ever I would have time to re-read my favourites! I understand what you mean,but great books become classics because they are multi-layered.Merely finishing a classic doesn’t equate to appreciating its content.To do so,you’ll also have to find more about the allegories and symbolisms.Lord of the Flies,for example,wouldn’t be the masterpiece it is,if everybody contented himself with the superficial story of boys being stuck on an island.The same goes for Animal Farm. I don’t think there’s enough time in one lifetime to read all the books I want to read. There’s so many great stories and so much wisdom out there that one person surely can’t take it all in?! Hahaha – that’s the picture, though a blog did contact multiple authors and present them with the analysis too (if anyone finds the blog please post a link!). I think with the examples of Lord of the Flies and Animal Farm though, the author intended for those allegories and symbolisms to be there, they expect the reader to question and analyse as that’s the audience they wrote the book for, and I think that’s maybe a little different than analysing a piece of work where that wasn’t the author’s intention? I don’t think it’s possible to read the Classics without looking into the text at least a bit, even if it’s to understand what was going on in the world at the time the author wrote the book, because without that context it can make reading them more challenging, but when I studied Of Mice and Men (a 103 page book!) it took us 6-8 weeks to analyse it page by page, sentence by sentence, and I think that ruins the Classics for a lot of people. It definitely put me off until I watched an adaptation of Pride and Prejudice and felt that I was missing out on something. OH my! I love you list! I think all reading buy faster than they read. I have a bad habit of saying, “I own it I can read it anytime” and running to the library for a new novel. I have been NetGalley approved for about a year now, and one publisher auto-approved me for their books. I *still* go crazy on it, and I’m really bad about keeping track of NG books versus what I get from Amazon. Since I get so many books for my Kindle, I don’t buy as many books anymore. I only buy books to complete series I have (that I want to have) or from authors I know, knowing I will enjoy the book. That’s been one drastic change in my book habits. #3 – I think I am exactly the same way. My mom says I’m outgoing, but I don’t think so – and D can confirm that from friends’ parties we’ve been to. #8 – this is something I’m trying to think through and get cranking on my blog, so I’m studying up about the common (and odd-ball) things I see others write about. But I know my problem will be continuing to publish consistently with new ideas. I think I’d run out of topics! I can totally relate to all of these, ugh! I balance between extrovert and introvert, I have too many books, I go wild on NetGalley (just banned myself through summer…), I lack time to reread, even read in general, and I can hardly focus on more than one book at a time. Love your blogging confessions, so many of them ring true for me. I wish I could post more original content, but it’s finding the ideas and being motivated enough to do so. I also buy books faster than I ever have hope of reading them, I also add far more books to me TBR list than I can ever hope fo getting around to. I don’t mind though, it means there will always be some book I haven’t read lying around for those days when you just don’t know what you fancy reading. The first time I found out about Netgalley & Edelweiss I went crazy, but luckily I have it better under control now. I think we all know that feeling: we love to buy books even when we have a TBR pile to the moon and back. I don’t really think about what else I could do with my reading time, probably a lot, but I love reading so why bother? 😀 I reread a lot and I always read books at the same time, so that’s where we’re different. Thanks for sharing your confessions! I don’t typically review classics because I’ve always found that over-analyzing them takes the enjoyment out of reading them. I’ve often wondered if authors from the past would read analytical reviews and laugh at the absurdity. I’m with you on #6, I just can’t have more than one book going at a time. I’m in awe of people who can though! I was able to identify with so many of your points, especially the one about not being able to read more than one book at the time. I tried that when I was in high school an had to read books for my classes, but at the same time wanted to read something else just for fun… yeah, in the end, that didn’t work very well. Oh my goodness. Number three! Finally someone who understands! That is exactly how I feel: I’m outgoing, friendly, sociable, etc, but after a while I need to recharge and be alone. So many people think you have to be one way or the other, but I am not. I like people, but I don’t get my energy from them. ” I can get really frustrated with complicated over-analysis of a book” OMG I completely agree with you on this! And I totally wish that I had more time to re-read too! Gosh, I fellow blogger who knows my own heart! 🙂 I basically feel the same way about everything except probably the only-reads-one-book item because at the moment, I’m reading like 3 or 4 books LOL 🙂 I especially can relate to 7, 8, 9, and 10! Thanks for sharing and for stopping by. Although I’ve been blogging for about 6 months now, I’m still obsessed with NetGalley and Edelweiss. Although I don’t request much since I know I most likely won’t get accepted from the bigger publishers. But, I still love them! The flack that classics get in being the main go-to books to analyze is kind of funny to hear about. Personally, I think you can find [insert some rhetoric/trope/device here] in every book; it’s just going that extra distance and give credit to the actual analyses rather than just skittering through and reading for simply the enjoyment of reading. In terms of curating more “original” discussions, that’s a real doozy for me too. I feel like I go through so many potential ideas that could work but they’re all flops cause I don’t really know how to go about it. And as much as I’d like to have someone beta-read these ideas…I don’t even have any content to let them beta read haha. Pretty frustrating stuff! I really think there’s leverage in that idea I posted on your TTT – a “he said/she said” feature with both sexes opinions on the same topic/book/genre etc. Conversational. Funny. I like it. That Dead Poets Society gif ♥ Totally agree with No. 5, I love those worlds and how amazingly complete and real they feel! I’d love more time to reread as well. I’m so happy to find books I love but I get sad when I might not get to ‘visit’ them again.